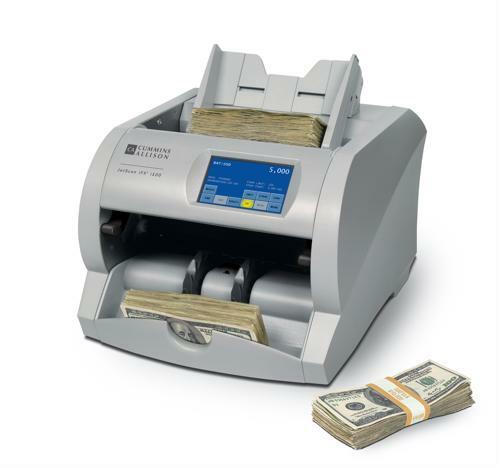 Money counters are effective tools for mitigating the ramifications of counterfeit bills. With the technology available to counterfeiters, it only makes sense that a business has equally powerful solutions to stop money from being illegally printed in any way, shape or form. With infrared and ultraviolet scanning, as well as fluorescence sensors, these machines can recognize many of the different techniques counterfeiting criminals use to pass false bills as legitimate. By stopping these practices, stores will maintain some degree of economic balance in their area. Counterfeiting operations are often hard to find and dismantle. It's sometimes better to find leads and develop a strong supply of evidence in that manner. That means detaining users of counterfeit money, even if they have no ties to the ring or individuals involved. In the Chicago suburb of Aurora, Illinois, the Chicago Tribune reported on a woman charged with multiple counts of felony forgery. She was at a premium clothing shop, Claire's, attempting to purchase multiple items of clothing using fake $100 bills. After an employee confirmed this, the woman attempted to flee the area. However, police detained her after she hit a vehicle while driving away from the scene. She had $400 in fake bills in her wallet, as well as goods purchased from the outlet mall that housed Claire's using counterfeit money. However, despite the amount of money she had on hand, it turns out she merely purchased the fake bills from a man in Chicago. She paid $500 for $800 in counterfeits. In another situation, WMC-TV reported on a situation in Jonesboro, Arkansas that led to the development of a counterfeit money investigation. A Domino's Pizza delivery driver brought $27.11 worth of pizza to a man in town. However, the $20 bill and two $5 bills looked strange to the driver. When he returned to the pizza shop, the quick flick of a detection pen borrowed from a nearby gas station discovered that all three bills were fake. A subsequent police inquiry led them to turn this into an investigation. It's uncertain if the customer who passed them off had involvement in printing operations. Businesses should look to these examples as reasons to use money counters. These machines are quick to identify fakes, especially in different denominations. They can help stores prevent counterfeiting from greatly harming their bottom lines.